Meet Anora the dragon! Anora dazzles with black fur with multi-coloured sparkles, shiny rainbow-coloured wings, and sparkly purple eyes. 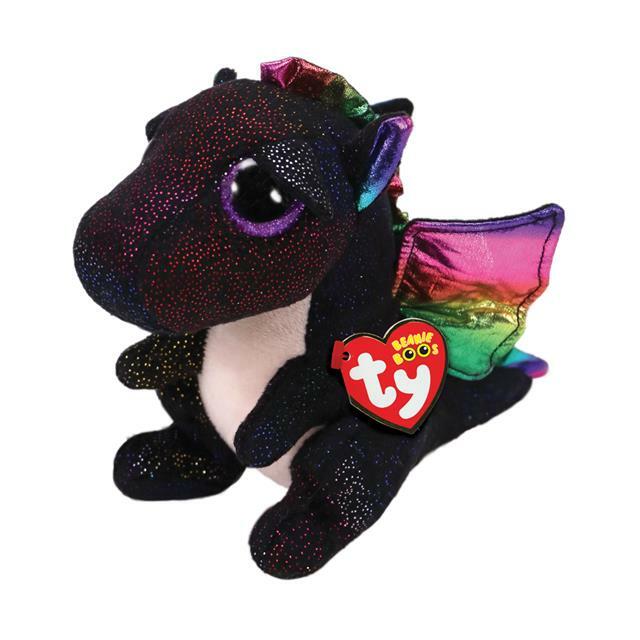 The Ty Beanie Boos are a collection of uniquely adorable critters that kids can't get enough of, and looking at this loveable plush, it's obvious why! This sweet, super wide-eyed animal friend may just be the absolute cutest plush you have ever owned!